This British Grammy Award-winning band originally formed in Liverpool, England in 1979 by brothers Mike Score (keyboards, Vocals) and Ali Score (drums). The band also included Frank Maudsley (bass) and Paul Reynolds (guitar). 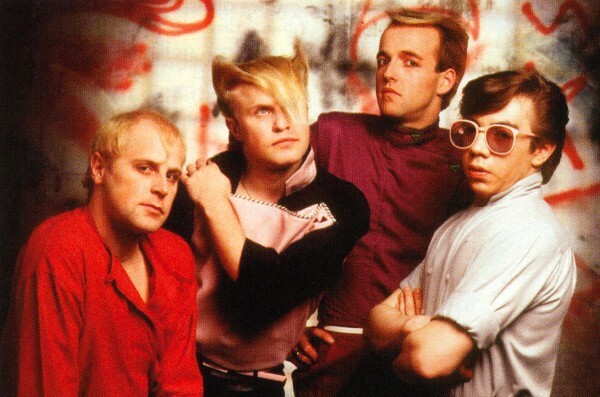 A Flock of Seagulls is best known for there 80's iconic hit, " I Ran (So Far Away)"as well as the 1982 hit "Wishing (If I Had A Photograph Of You)". And also we can never forget the hair that made them a hit. Don't forget to check back regularly. The 80's Child is constantly updating our concert tour ticket database. When where get the music tour news, you get the news!